Leave it to the creative mind of Gene Roddenberry to send me into yet another mental wormhole. And I warn you from the outset, this particular “thought experiment” may be potentially upsetting to the less open-minded, strenuously dogmatic, sense-of-humor-challenged, and/or excessively pious of you. You’ve been warned. Curled up on the comfy couch watching an episode of Roddenberry’s original “Star Trek” series recently, I was thrown quite unceremoniously into a fit of conceptual conniptions by a particular scene from the 1968 episode entitled “Bread and Circuses.” My TV-watching fare of Shiner, Fritos, and . . . er, certain aromatic herbal nourishment may have contributed significantly to the wormhole process, but I digress. 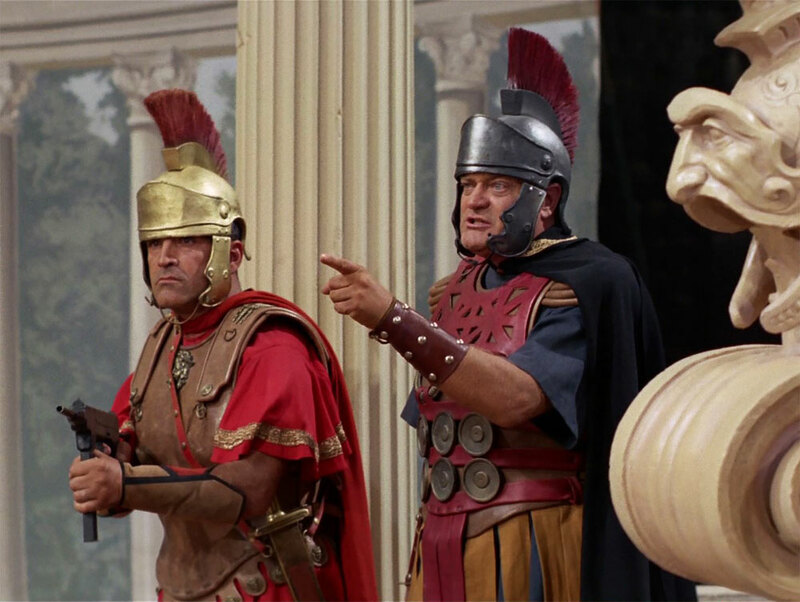 This Trek episode, in which Captain Kirk and crew are forced to fight in gladiatorial games on a planet where a modern-day Roman Empire rules the land, juxtaposes the culture, garb, and traditions of ancient Rome with contemporary technology. Hence, you have emperors, senators, and proconsul types handing down edicts over loudspeakers and gladiator contests broadcast over network television. Anyway. That’s when it hit me: What if the Romans—our ancient Romans—had possessed such technology? Of course, the mind reels with infinite possibilities (like what if Spartacus had had access to F-14 Tomcat air cover). But what I became fixated on was the impact on Christianity—not the religion as a whole, mind you, but merely the symbolism involved. You see, the universally recognized metaphor for the Christian faith is, of course, the cross. Why? Because that’s how Jesus was put to death; the sign of the cross symbolizes His victory over death. But what if crucifixion hadn’t been the means of execution for the Roman Empire? What if, for example, electrocution had been the execution method du jour? Think about it. Gold necklaces worn by faithful folks around the globe would have little electric chairs dangling at the end. 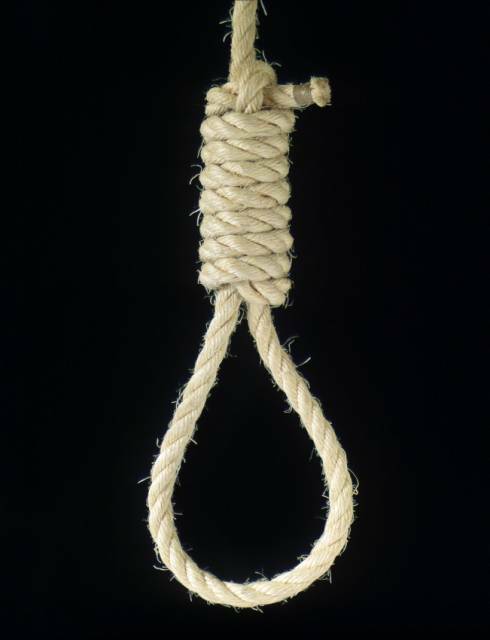 Or what if execution of criminals had been accomplished by hanging, for instance? Nuns far and wide, instead of making the symbol of the cross when they prayed, would arch their necks at severe angles and pull on imaginary nooses to display their piety. Or consider lethal injection. Churches from Brownsville to Bozeman, instead of featuring outsized crosses on their steeples, would display great hypodermic needles to call the faithful to worship. OK, wait! Hold it. Wait a minute. Put the pitchforks down. Douse the torches. I’m not demeaning Christianity by any means. I’m not poking fun. I was raised Southern Baptist, for crying out loud, by a God-fearing momma in the heart of the Lone Star State, here in the belt buckle of the Bible Belt. All I’m doing is saying “what if.” In an alternate universe somewhere just east of Andromeda, who’s to say one of these scenarios isn’t playing out this very microsecond? And consider traditional sayings and adages. “It’s not my cross to bear” on Europa might be more along the lines of “It’s not my chair to sit in”— or “It’s not my chamber to enter.” Whatev. No! No, please, put the garden tools down! I’m just saying “what if,” that’s all! It’s just a thought bubble! I gotta quit doing Shiner and Fritos with “Star Trek” so late at night.